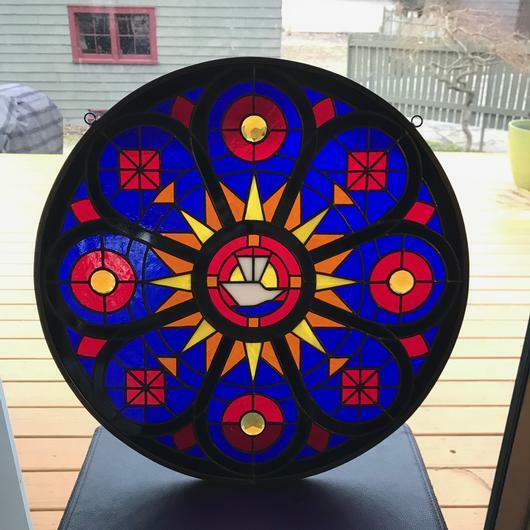 I did an original design based on the window. It is a copper foil piece with a lead came frame. It is round with a diameter of approximately 16.5". I was asked to do this project as a gift for someone who works at the Mariners' Church. 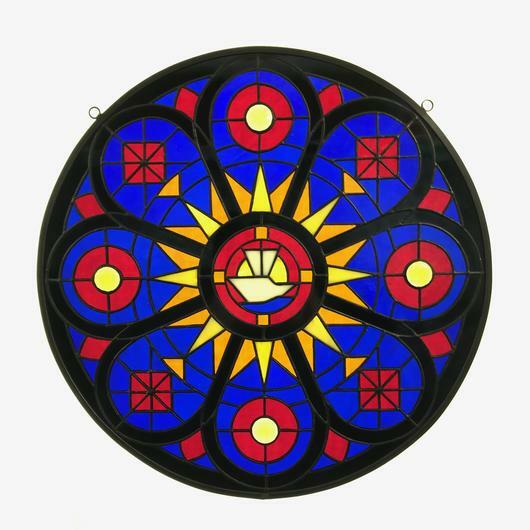 Obviously I could not replicate the window's detail in miniature, so I focused on the basic main design elements to create a representation of the window. The four amber circles are actually honeycomb domed jewel glass pieces. Perhaps the most significant part of the piece is the ship in the center, which is highly important in the original window.